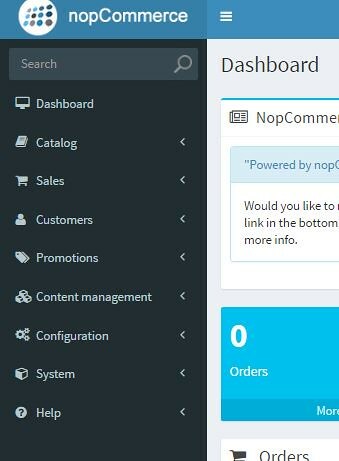 In nopcommerce adding a new menu item in Admin Panel, Steps to hide admin menu items based on roles. In this blog, i am adding a new menu in admin panel and hide some menu based on customer role. Note : Provide different permission name to every sitemapnode, because different ACL for menu. 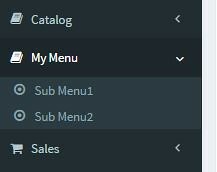 The only reason is to show you how it can work for complete menu item or its sub-menu items in case you would like to hide only the sub-menu items for any user based on his/her role. Now build and run project and login as admin. 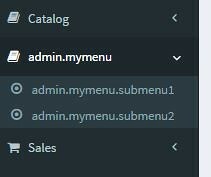 Check these properties for your Administrator role and once you save you will see the admin.mymenu. Go to Language under Configuration menu. Click string resource link for english language and add resourcename like “admin.mymenu” and resourcevalue like My Menu. Same way you can give hide menus for other users based on roles from the access control list and uncheck whatever you want.